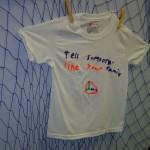 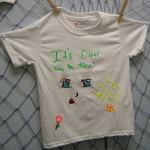 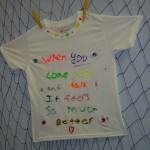 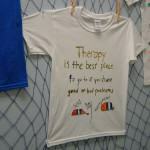 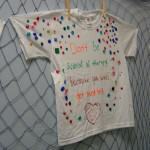 These artistic T-shirts were created by survivors who have been impacted by abuse and neglect. 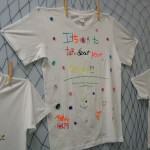 Through their words and drawings, the children and adults that come through these doors, are able to express their inner strength and the journey to healing. 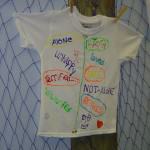 These T-shirts offer the opportunity for survivors to be heard. 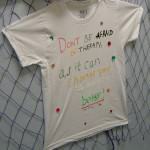 Please click on each tee-shirt picture below to enlarge it for a better view and click again to make it a full screen image.